In one of the previous posts, we talked about incremental clustering with kmeans and saw an example. Here, we will see one more advanced incremental clustering technique called as BIRCH. BIRCH stands for balanced iterative reducing and clustering using hierarchies. It is an unsupervised data mining system used to perform hierarchical clustering over big datasets. It is a memory-efficient, incremental learning based clustering technique stipulated as a substitute to MiniBatchKMeans. 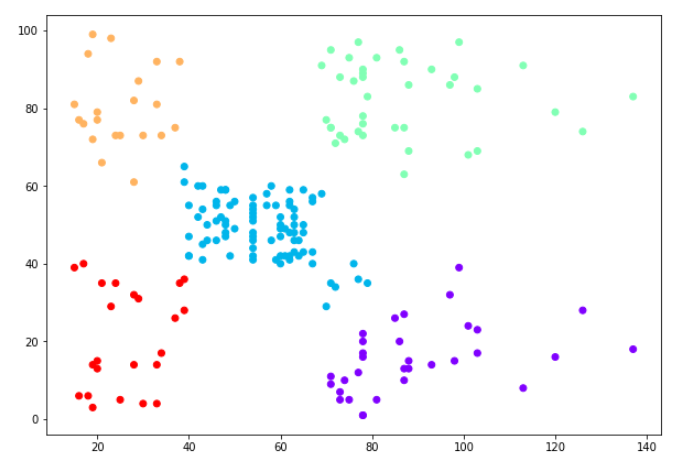 /online version of k-means clustering. Its creators privilege that BIRCH to be the “initial clustering process projected in the database area to tackle ‘noise’ (data instances that do not belong to underlying configuration) efficiently”, thrashing DBSCAN by couple of months. Past clustering algorithms performed less successfully over exceptionally vast databases and did not enough consider the case wherein a dataset was too extensive to even consider fitting in fundamental memory. Subsequently, there was a great deal of overhead keeping up high clustering quality while limiting the expense of expansion IO (input/yield) activities. Besides, the greater part of BIRCH’s forerunners assess all information focuses (or all as of now existing clusters) similarly for each ‘clustering choice’ and do not perform heuristic weighting dependent on the separation between these information focuses. It is dependent on the representation of CF (Clustering Feature) a CF Tree. CF tree is a height balanced tree that saves the clustering features for performing a hierarchical clustering on given dataset. Each non-leaf node has maximum B records. Global clustering technique is used. It is nearby in that each clustering choice is made without examining all information focuses and as of now existing clusters. It misuses the perception that information space is not generally consistently involved and few out of every odd information point is similarly imperative. It makes full utilization of accessible memory to infer the best conceivable sub-clusters while limiting I/O costs. Likewise, a steady technique does not require the entire informational collection ahead of time. Benefit of BIRCH is its capacity to gradually and progressively group approaching, multi-dimensional metric information indicates in an endeavor produce the best quality clustering for a given arrangement of assets (memory and time imperatives). Much of the time, BIRCH just requires a solitary sweep of the database. 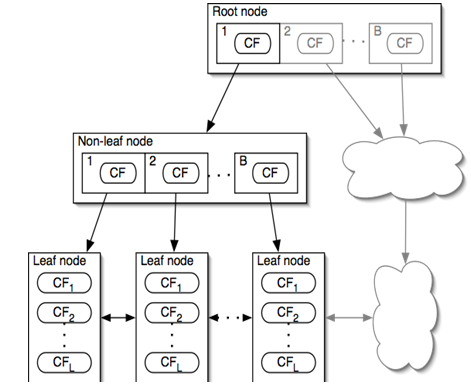 a CF tree node does not constantly resemble to what a user may ruminate a nature cluster. it does not execute well because it uses the notion of radius or diameter to regulate the borderline of a cluster/group. The radius of the sub-cluster gained by integration of a new sample and the closest sub-cluster should be lesser than the threshold value. Sklearn sets the default value of this parameter to 0.5. Maximum number of CF sub-clusters in each node. If a new data instance arrives such that the number of sub-clusters surpass the branching factor then that node should divide into two nodes with the sub-clusters redistributed in each. The parent sub-cluster of that node should be detached and two new-fangled sub-clusters are added as parents of the two split nodes. . Sklearn sets the default value of this parameter to 50. I must say this is detailed explanation of the algorithm, keep posting such informative articles. Sounds quite informative. Can I submit one or two questions? Because..I know more ideas that synergize with this. I get what you’re saying, but I have questions. Could we talk via email?